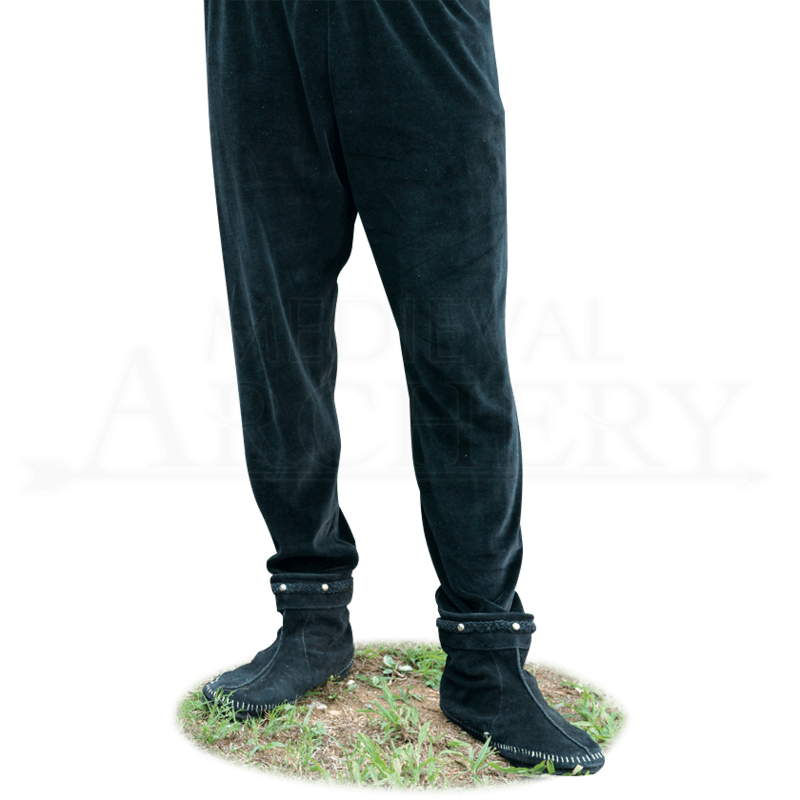 Our comfortable fitting pair of black stretch cotton velvet pants also do double duty as tights. They have an elastic waist for adjustability. 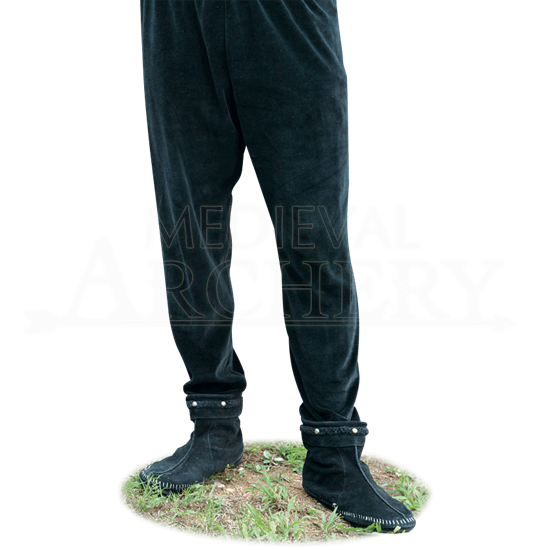 Our Mens Velvet Pants go nicely with any Medieval or Renaissance outfit, especially the Tristan and Isolde clothing line. Small/Medium: Fits up to a 36 Inch Waist. Inseam is 30 Inches. Overall length is 41 Inches. Large/X-Large: Fits a 34-44 Inch Waist. Inseam is 32 Inches. Overall length is 43 Inches.